In September, Saylor Academy had the pleasure of attending the 2018 National HBCU Week Conference. This year’s theme and focus was HBCU Competitiveness: Aligning Institutional Missions with America’s Priorities. For three days, administrators, faculty and students alike from various Historically Black Colleges and Universities across the nation gathered together to learn about the many academic and professional advancement opportunities available through the federal government. Representatives from agencies such as NASA, FAA, SBA and the National Endowment for the Humanities; to name a few, presented on critical topics involving: entrepreneurship, partnerships, research as well as workforce and innovation development. 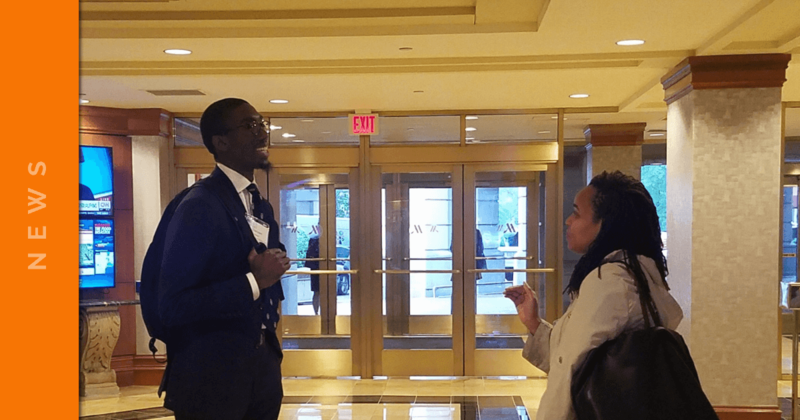 Attendees were afforded the opportunity to glean skills, network with various organizations and exchange information surrounding their intentions for the upward mobility of HBCU’s and America as a whole. Throughout the experience, one topic continuously arose among the attendees; the potential for educational institutions to adopt an alternative mindset in order to leverage their resources and ensure efficacy. Panelists and attendees discussed what they believed to be the implications and anticipated outcomes of increased efforts towards a design thinking model. Design thinking is a method rooted in human-centered solution-based approaches and is often used by designers in development and ideation. As the homestead for a host of bright minds; colleges often perform as an incubator and testing ground for the world’s greatest innovations and discoveries. Whether scientific, artistic, social or political in nature, universities have continually propelled society forward through the cultivation of its members and contributors; especially Historically Black Colleges and Universities. From Dr. Martin Luther King, Jr. to Toni Morrison to Thurgood Marshall and Ida B. Wells, HBCU’s have a long standing list of historically influential alumni. Driven by this fact, presenters challenged the audience to think abstractly about their approaches to resolving their institutions’ most prevalent concerns. Administrators were urged to converge their departments, to seek out the barren areas (i.e. potential community engagement and grant opportunities, content/course offerings, apprenticeships) and to revive them through divergent applications.The takeaway being that by applying these methods educational institutions can anticipate both innovative and beneficial pathways to steady financial security and global relevancy. As these discussions took place, one question loomed; would these revisions guarantee that HBCU’s will remain sustainable in an ever-evolving society? Presently, many HBCU’s are grappling with significant concerns involving: enrollment, student retention, graduation rates, and building core revenue. As a result of this there have been projections of dozens of HBCU’s closing over the next 20 years. This prediction is similar to the outlook that several small liberal arts colleges are receiving as the number of students pursuing a degree in the humanities discipline dwindle. According to the American Academy of Arts and Sciences, currently less than one in twenty of all degrees offered are in humanities disciplines traditionally associated with liberal arts. Despite these reports, HBCU’s have continued to remain a viable source of quality educational access for America’s youth, especially those from a low-income background. Furthermore HBCU’s based within a smaller community have the ability to not only positively influence their communities through academic efforts but economically as well. According to a report by the Brookings Institute, HBCU’s have the potential to drive economic development, population growth and job creation by partnering with organizations seeking to diversify their workforce. Examples of this can be seen at institutions such as Southern University which acquired a partnership with America Makes; the nation’s leading partner and collaborator in national additive manufacturing (AM) and 3D printing as well as North Carolina A&T which is a part of the North Carolina Manufacturing Extension Partnership. Both of these collaborations are representative of the high impact HBCU’s can make in the lives of their students and the overarching influence that it creates in our society. Additional examples of this influence can be seen at institutions such as Elizabeth City State University and Shaw University, which both have partnerships with the Carolina Small Business Development Fund to maximize the level of all-encompassing support they are able to provide within their regions. As the landscape of education continues to evolve so does the opportunity to create more avenues for accessibility, affordability and student success. Platforms such as the National HBCU Week Conference lend to this mission and act as a guidepost for those seeking to not only be informed but to serve as well.